And so we come to Utah, home to some of the most jaw-dropping scenery on the planet. 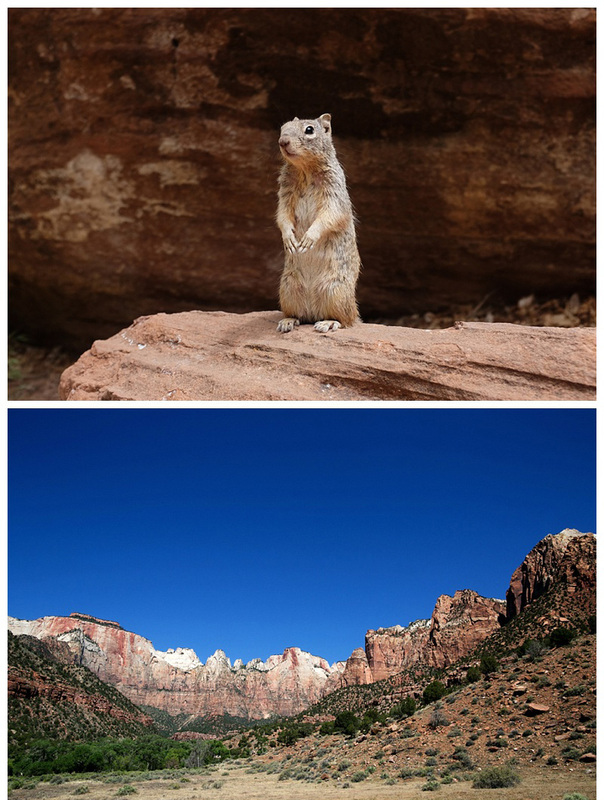 We took in a series of National Parks on this leg of the trip – each different and wonderful in its own way. First up, Zion NP. 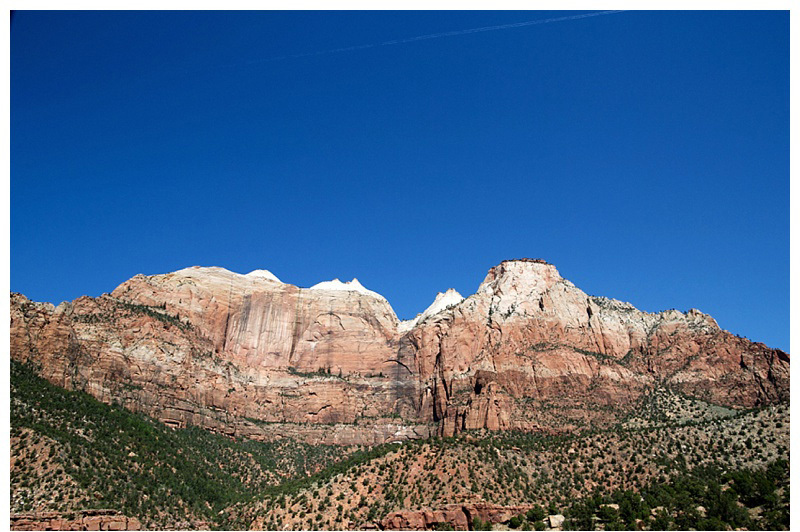 Named by 19th century Mormon settlers from the Hebrew for ‘home’ or ‘shelter’, Zion is an awesome river valley / canyon. The Virgin River has carved its way through the rock, leaving high, partially eroding cliffs on all sides. The colours are vivid and amazing, and change through each strata of rock – cream tops, through light oranges to darker browns; while little green areas of trees speckled over the rocks, and lush green areas showed the running water courses down the canyon sides. The river itself runs in a very pleasant green valley at the bottom of the canyon, with rock walls thousands of feet high on either side. We investigated some remarkable features, including the Emerald Lakes and the Weeping Rock (a permanent spring which drips ‘tears’ from the rock face). 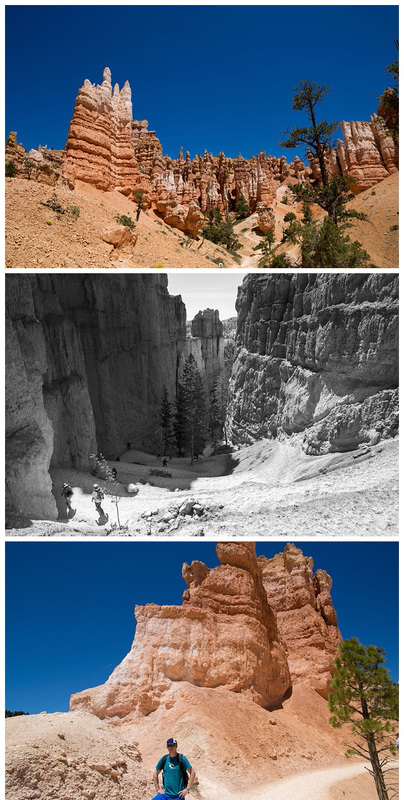 Bryce Canyon NP contains a unique collection of huge sandcastle like rock formations called hoodoos. Being at over 8000ft elevation but still in what is essentially a desert, the rocks are subject to constant freezing and thawing, for something like 2/3 of the nights of the year. Over eons, a huge amphitheatre has been created, filled with these hoodoos. Each is curved out in great delicate detail, and the colours range from light pastel to deep burnt orange. We camped on the top, and it was our first taste of being freezing cold at night! The walks down into the amphitheatre were much warmer, but seriously steep coming back up! We had a stunning drive through what is called the Grand Staircase Escalante National Monument area. 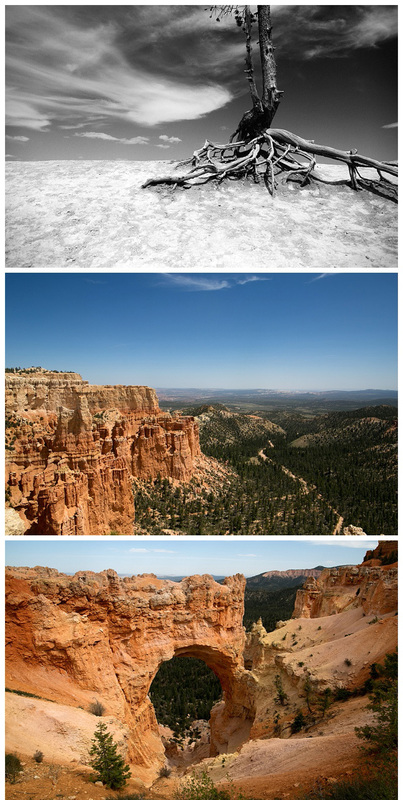 The Grand Staircase covers thousands of miles and includes the Grand Canyon all the way to Bryce Canyon and beyond – it’s basically a series of giant steps in the land, with landscape of different hues and colours as the type and age of the exposed rock changes. 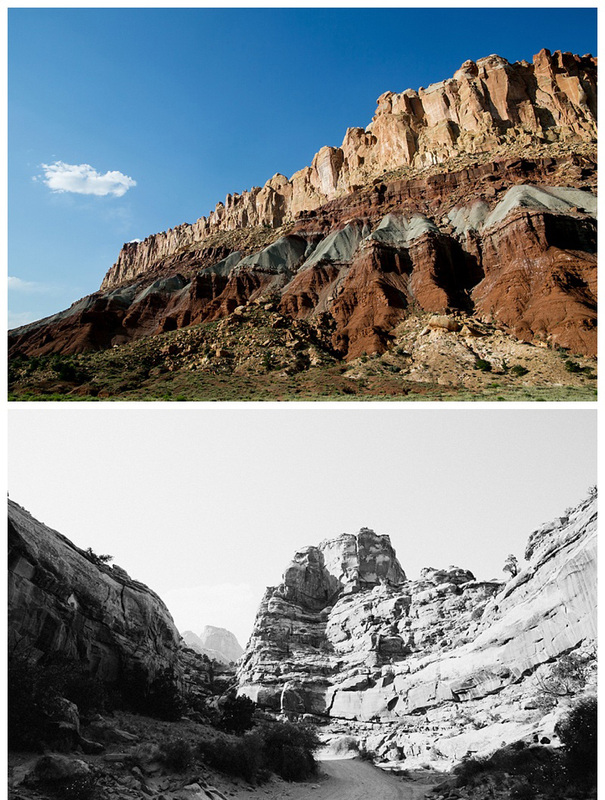 Which brought us to Capitol Reef National Park. Chief interest here was scenic drive along the Waterpocket Fold, a rip or fault in the earth where on one side the rock has been lifted hundreds of feet above the other side. It was so named because, like a reef blocks progress at sea, the 100 mile Fold blocked the progress of the early settlers. 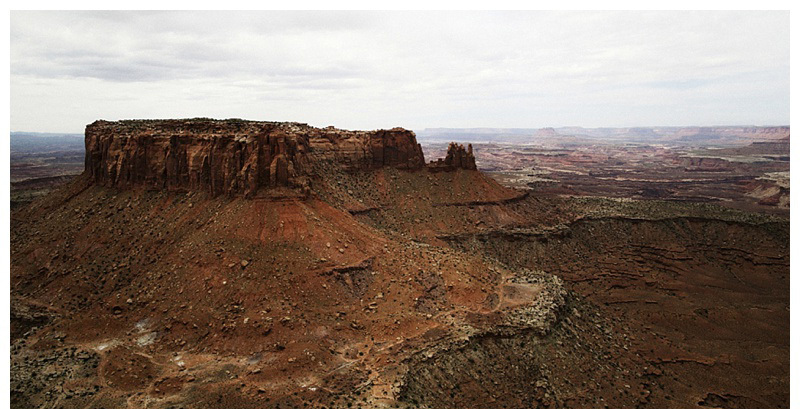 Canyonlands NP is one of the less visited of Utah’s parks, being a bit off the beaten track and having less infrastructure. 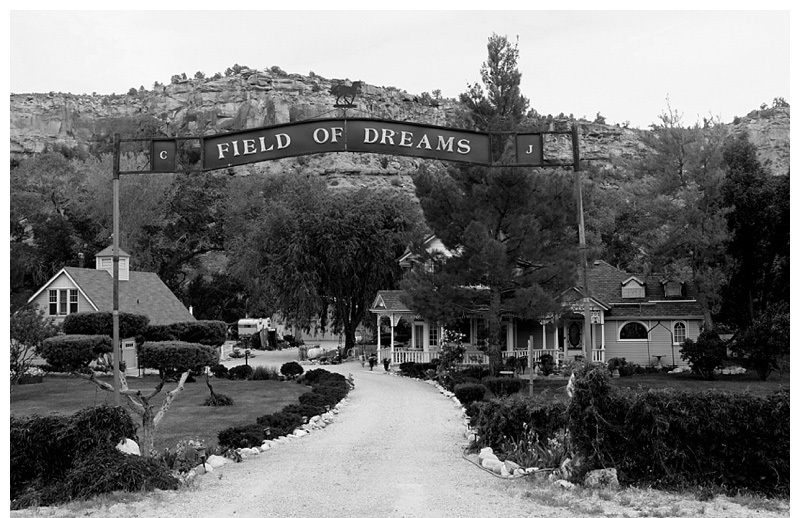 (For example, you can stay in Zion village just outside Zion NP and sleep in an expensive hotel, eat at a nice restaurant, and even go to the movies. 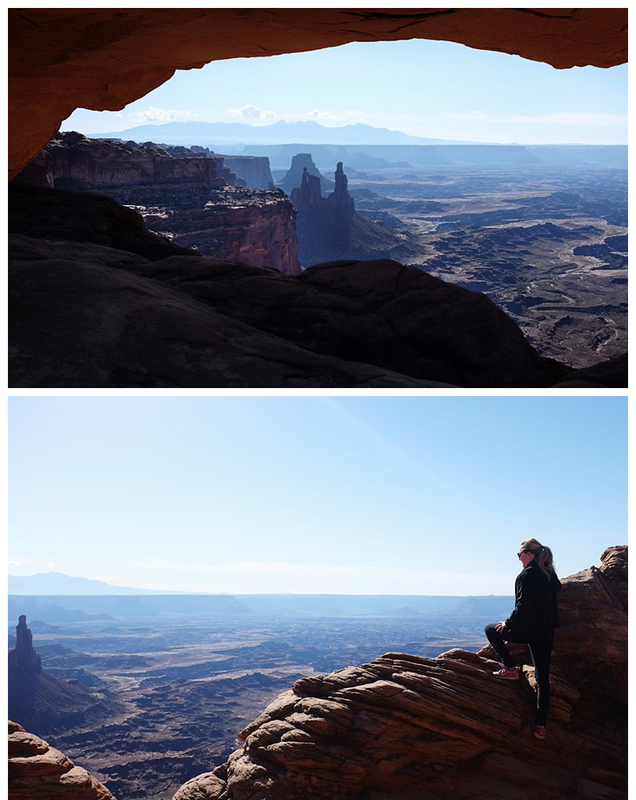 At Canyonlands, you were thankful they had a drop dunny…). 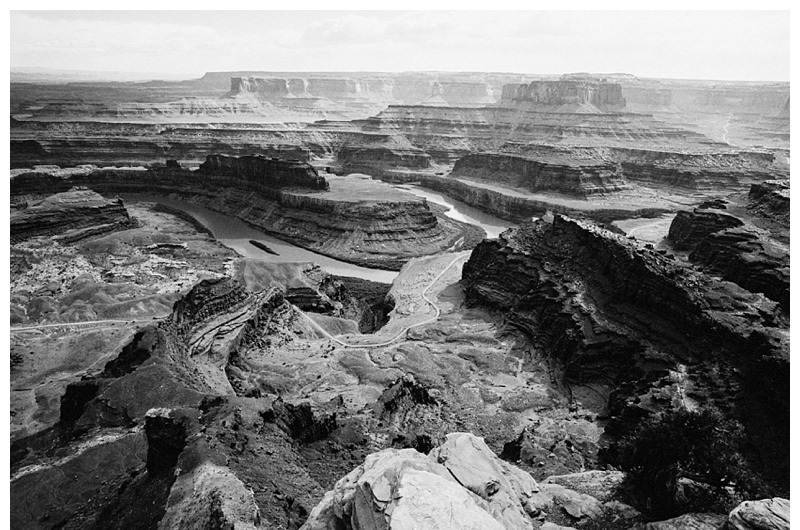 The scenery is dramatic – a massive connection of vast canyons have been cut into the strong ancient rock by the meandering meeting of the Colorado and Green Rivers, upstream from the Grand Canyon. The colours here were much more dark and brooding, with muddy brown water, and subdued darker, mossy greens. Wow, what an amazing place………stunning photography Kirralee. The rock formations look like a history of time. I love the colours; that red reminds me of the rock colours in Nepal. They look sooooo old….monuments to history, yet they must be constantly changing. Great that you can go off the beaten track to see less well known places, probably better than the less visited places. I can’t imagine why people deface such perfect monuments; mind you it happens everywhere. Have just returned from NZ after seeing family, so catching up on my communication. Had a recent meeting with the ground…..face planted a real beauty. Broke glasses, blackened an eye & more importantly thoroughly bruised the pride! All healed now, and will watch where I’m walking next time. Take care of yourselves. I look forward to my ‘hit’ on your travels. OOOPS, I meant ……better than the more visited places/parks.